The dictionary defines the word esoteric as special, mysterious knowledge only known by a small number of people. Many think it has something to do with magical practices, strange rites and irrational beliefs. It is used to indicate an inner circle or something reserved to a few. However, the truth is that EVERYONE at essence is esoteric because it simply means to connect to and live from our inner-most. So how come we have changed the meaning of a word that describes who we ALL are at heart to mean something that is weird and only belongs to a few? A closer and more truthful look at the origins of this word reveals that the current definitions of the word esoteric neither reflect nor honour its true meaning, let alone its energetic impress. Furthermore, it exposes the reasons why the true energetic meaning of the word esoteric was bastardised and, consequently, concealed from humanity. The English word esoteric derives from the Greek word 'esoterikos', which itself is derived from a number of words. These include: 'eiso, eso' which means 'within', 'inner'; 'esoteros' meaning 'inner, internal'; and 'eikos' meaning 'is natural'. The origins of 'esoteric' therefore refer not only to ‘the inner’, to that which lies within, but also to the fact that the inner ‘is natural’. It is in the inner-most of human beings that the natural and true way of being is found and from where who we truly are impulses and expresses forth, naturally so. During the time of Pythagoras esoteric was used by Greek philosophers to distinguish between ‘the inner things’, what is within us or, more precisely, the realm of the inner-heart, and the exoteric, ‘the outer things’, what is outside of us or the realm of the temporal pursuits. Hence, it is in our inner-heart that we find the Divine way of being and living since it is here that we are naturally connected to our essence and therefore to God, in perfect unison with the harmonious rhythms of the entire Universe. This is within everyone and therefore not secret. So, if the word esoteric was simply pointing at the inner-most, our natural way of being, what was it about the esoteric that was 'uncomfortable' to the point of bastardising the word entirely so as to change its original definition to give it a derogative meaning? And, to whom were the esoteric teachings disturbing and why was there an attempt to hide them from humanity? Aware of the fact that once human beings re-connect to their inner-most they are no longer controllable by anything outside of themselves, as in that they find the connection to the divine that they are, the Church bastardised the word and placed a negative slant on anything related to the esoteric as it was concerned – once again – about losing its control over people’s minds and lives. By attributing the meaning of hidden and secret to the word esoteric and by proceeding to define it as something mysterious, suspicious and even abstruse, the Christian Church and, in particular, the Catholic Church attempted to conceal the simplicity, power and the absolute truth and love offered by the esoteric teachings and way of living from humanity. By finally honouring the fact that the esoteric simply states that it is in the inner-most that we find our natural way of being, we are in fact confirming to all that the divine qualities of truth, love, joy, harmony and stillness are known instantly in one’s inner-heart and are impulsed forth in what we call the esoteric way of living. The esoteric is the love that holds us all equally in brotherhood. The esoteric principle is that we are love. The principles of the esoteric way of life date back to the oldest forms of knowledge and wisdom. "Whilst ancient in their heritage, they have not out-dated themselves in relation to what is required of mankind to live in harmony and thus arrest any wayward conduct that does not build brotherhood within and amongst our communities everywhere. The esoteric means that which comes from our inner-most. It is the livingness of love that we all carry equally deep within and it is this livingness that restores each and every individual back into the rhythms of their inner-harmony and thus from there, the love is lived with all others. The esoteric is all encompassing and it comes from that which is found in the inner-heart centre of every individual. It lives with a unifying impulse to unite all as a living brotherhood of one race under the one God in accordance with the spirit of a one-humanity. May you be in the light of your true making." "There cannot be a greater time to begin the esoteric work and thus live in and from the esoteric impulse otherwise known as the central impulse of the Soul." The Gentle Breath Meditation™ provides a great tool of connection. When we are connected to ourselves and our true essence it creates the space for us to recognise who we are and where we stand. You will find many great practical articles and free audio at Unimed Living Meditation Sphere. 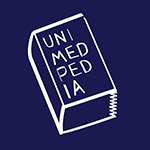 At Unimedpedia you will also find the reclaimed words Soul, Truth, Love, Joy, Stillness and Harmony together with many more free audio and quotes.